As you know, I enjoy baking or making sugary treats. But, I also like to bead. 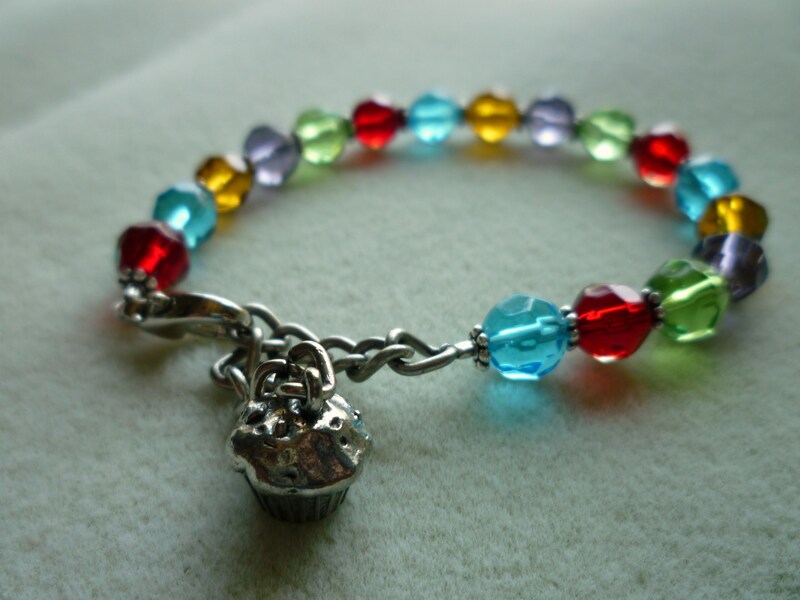 Today I made this bracelet … complete with a cupcake charm! It is adjustable in length and the beads are faceted glass … very simple to make. Do you like it? One lucky person will win this bracelet. Would like to be the one? To enter this drawing … you must do two things. 2. Please leave a comment about what you would like to see on this site … don’t be shy … you could just say HI! P.S. Don’t forget to leave your email address so that I can contact the lucky winner! Enter in the “Comment” section at the bottom of this page. One entry per person. 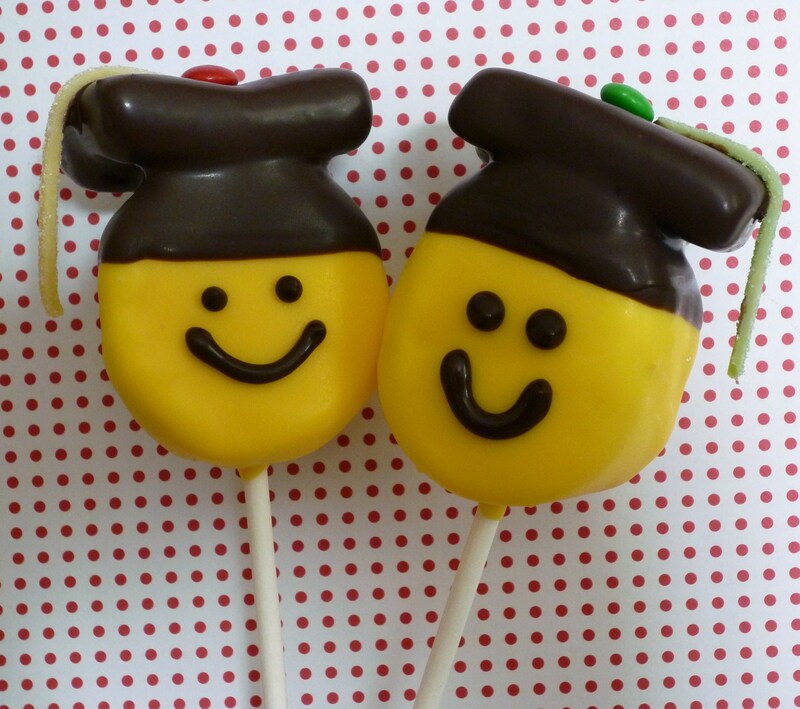 Would you like to see more marshmallow ideas … like these Happy Grads? 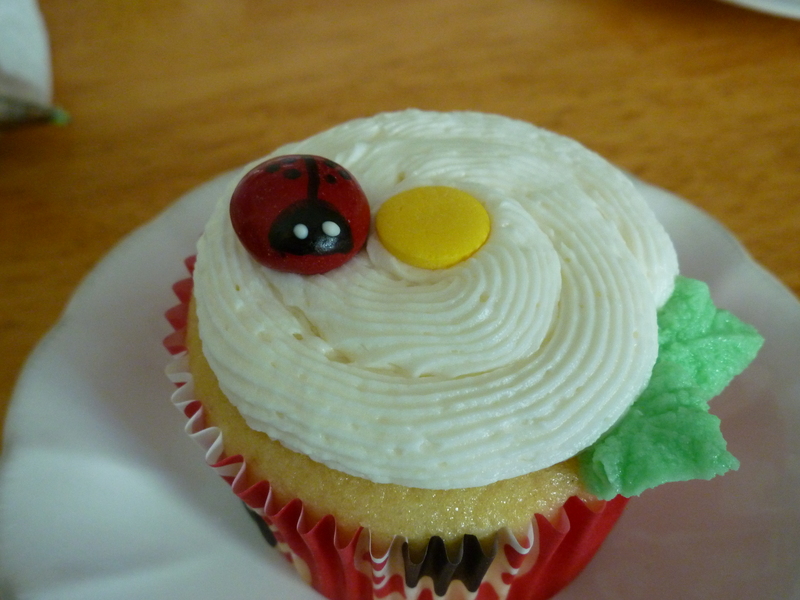 Cupcake decorating ideas … like these Ladybugs made with m&m’s? 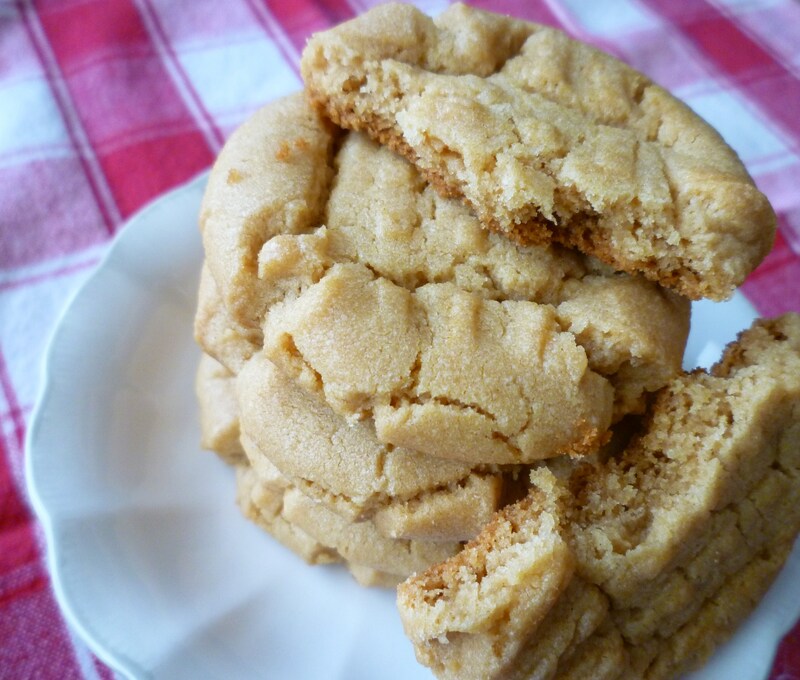 Basic from scratch baking … like Peanut Butter Cookies? 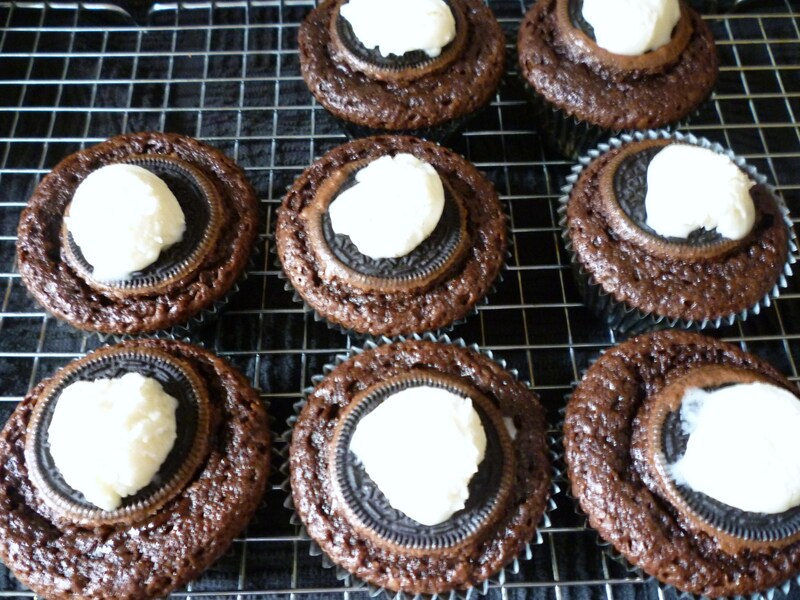 Simple baking, maybe using a mix … like these Brownie Cupcakes with Oreos? The deadline to enter the drawing is midnight (p.s.t.) Thursday, September 8, 2011. One winner will be drawn using Random.org and announced Friday, September 9, 2011. Hi Brenda, I really enjoy all your sweets, but I think your giveaway’s are wonderful…The braclett is precious…. I would like to see you make a small, decorated cake. Preferably made for 2-4 people. Like the braclett, it’s very colorful. I’m already signed up. I would like to see more of all the creationss that you have already shared. I love cakes. I’d love to see a recipe for diabetic cupcakes! I already receive your email. I’d love to see more of your jewelry creations. Love the bracelet! I want it! I know you have made it yourself and so I want it even more! What I would like to see is more blogs, more often!!! Can’t get enough sugar, even though it is in cyberspace!! I love the bracelet. (already a subscriber) I love your treats. How about some dark chocolate treats? The bracelet is really cute! already a subscriber.